The What Grows Within SoundPack gives you the complete audio solution when playing the fifth chapter of the Strange Aeons Adventure Path. All the preparation is done for you and every sound you'll need is right at your fingertips. 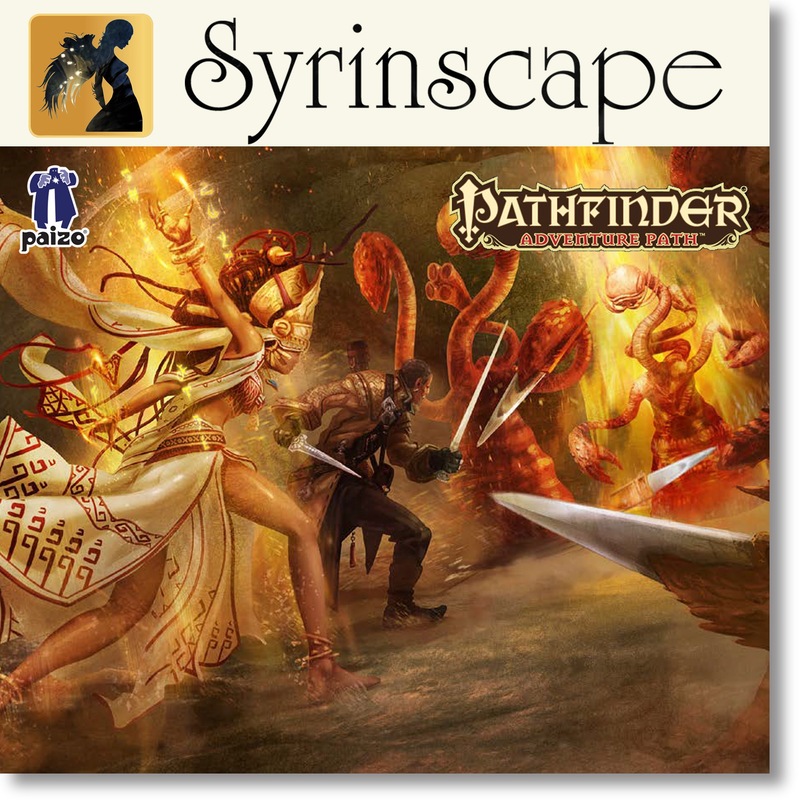 After finding the route to the lost city of Neruzavin, the adventurers must mount an expedition into the vast and deadly desert region called the Parchlands, where they hope to catch up to their treacherous former employer. Once they brave the heat-blasted wasteland, the heroes arrive in an abandoned city at the edge of a lake where a Great Old One slumbers. The adventurers must track Count Lowls's party, recover a vile tome, activate the city's Star Stelae, and perform a powerful ritual that allows them to follow the insane noble to Carcosa. Along the way, the heroes must be careful they don't wake the slumbering Great Old One or stir up the flying polyps sealed beneath the city! 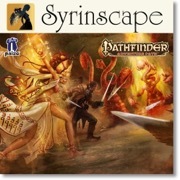 Availablility: Your Syrinscape audio content will be delivered as a Voucher Code on your My Downloads page redeemable at syrinscape.com, and will be downloadable within the Syrinscape Fantasy Player. Contact support@syrinscape.com if you have any questions. Sign in to start a discussion about Syrinscape—Strange Aeons #5: What Grows Within SoundPack!